The OGh Oracle DBA and SQL Celebration Day was the last stop on my trip and it went super-quick! The morning started with a keynote by Dad. He managed to resist the urge to talk about me for 60 minutes, which was good. It gets really embarrassing when he keeps telling everyone I’ve eclipsed his accomplishments in every way possible! My plan was to move on to see Alex Nuijten speaking about the Model Clause (in Dutch), but I bumped into Mark Rittman and we chatted for the next hour. Whoops. There was a long lunch break, which worked out really well as people were all networking. One of the important points of any event is the networking and sometimes organisers try to cram too many sessions into the day, which makes networking impossible. I think they got it right here. After lunch was Mark Rittman with a session called, “Using Oracle Big Data SQL to add Hadoop + NoSQL to your Oracle Data warehouse”. The main message here was for “some workloads”, SQL is still the best interface to the data, even if that data is in Hadoop or NoSQL databases. Of course, for some workloads, the opposite it true. From there it was the last block of the day and I was presenting about analytic functions. Mark warned me not to call them “Analytics”, because “Analytic Functions” are not the same as “Analytics”. 🙂 I think I’ll start calling them just “Analytics” to wind him up. 🙂 The session felt like it went OK. 🙂 I suggested people take a look at the videos Connor McDonald has been doing on the subject (here). I had a lazy morning, then it was time to start the journey to Zeist. It was a pretty straight forward journey from Amsterdam Central, via Utrecht to Driebergen-Zeist station. I had planned to get a bus from Driebergen-Zeist station to the hotel, but looking on the map it was only a couple of miles so I walked it. It was a little annoying dragging my suitcase, but no big drama. You can check out the journey and the hotel in the video below. I had a quick walk around part of the town, near the hotel, where I bumped into my new stepmom. 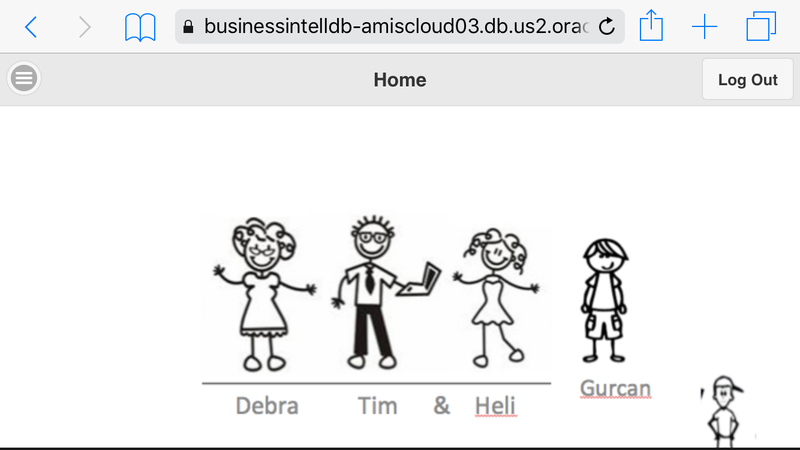 Tomorrow I’m speaking at the OGH Oracle DBA and SQL Celebration Day. Dad is doing the keynote and my new stepmom is going to visit some relatives that live near. I have a sneaking suspicion it’s going to be like “The Princess Diaries” and she will find she’s actually next in line to the Dutch Throne. Does that make me a step-prince? Amsterdam : A long weekend that didn’t quite happen. I got off the train at Amsterdam Central and felt hot, very tired, sick and had the start of a headache. By the time I got to my hotel room I was feeling about 3/4 Machu Picchu. I took some Lemsip capsules and crashed out. I woke up about 20 minutes later still feeling bad, but knowing I would survive. The next day came and went. I spent most of the day in bed. I ventured out of my room to film some bits of the hotel and get some food, which I promptly threw up, then went back to bed. If nothing else, I did manage to edit some videos between bouts of sleep. If you want to see where I spent Friday evening and all day Saturday, check out the video below. Sunday morning was significantly better. After my Machu Picchu incident last year, a couple from the US gave me some electrolyte replacement sachets. I didn’t use them at the time, but found them in my bag and took one as soon as I got up. I decided to go and have a walk around, but it quickly became apparent I had zero energy. I didn’t feel ill, but just couldn’t walk any sort of distance. After about 2 miles I was totally done. To make sure the day wasn’t a total right-off, I got onto a Sightseeing Boat and did one of the three possible loops (Green). I then picked up some food and headed back to the hotel. No puking this time, which was good. Once I was sure I wouldn’t be seeing lunch again, I headed back out and did another loop in the boat (Blue). You can see the photos and videos from the day here. It wasn’t exactly what I had in mind for the weekend, but what ya gonna do? So tomorrow I have to get a train down to Zeist for the OGH Oracle DBA and SQL Celebration Day on the following day. Day 2 of AMIS 25 – Beyond the Horizon started with me playing catch-up on some blogging, then the conference proper started. Next up was Björn Rost doing a “Quick Guide to Open Source SQL Tuning Tools (Quickie)”. This was a short session talking about some tools I know and use (rlWrap, SQLcl, MOATS, Snapper, SQL Developer) and something that was new to me TUNAs360. After that was my session about running Oracle databases in the cloud. I then took a break do some work, upgrading Tomcat and deploying a new application, before heading off to the OTN Cloud Developer Challenge results. I would like to say we were robbed, but we really weren’t. 🙂 Second place went to the AMIS team who did a conference organisation application. First place went to the “Team No Borders” with an application to help control air pollution in Mexico City. I think that was a popular choice amongst a number of people I spoke to before the awards. Well done guys! Before I knew it, the conference was over! Thanks to everyone at AMIS for putting together a great event. It went so smoothly, it’s hard to believe it was the first one. Thanks also to OTN and the Oracle ACE Program for organising the Cloud Developer Challenge. It was good fun! Thanks to all the attendees and speakers. I hope to see you again soon! Towards the end of the day we broke away from the challenge and joined the AMIS 25 Beyond the Horizon introductory drinks. At about 21:00 I headed back to the hotel, did some washing, then crashed out for the night. Getting to bed at 01:00 and having to wake up at 04:30 is not ideal, but it was worth it. The alarm went off at 04:30, I had a quick shower, checked out of the hotel and took the shuttle across to terminal 2 in Charles de Gaulle airport. Despite the early hour, there were a lot of people around. I grabbed a coffee and caught up with my blog posts. By the time I had done that, it was time to board the short flight to Amsterdam. From Schiphol airport it was a train ride to Leiden. I actually got on the wrong train initially, so I had to get off at the first stop and turn around. 🙂 Once in Leiden it was a taxi ride to the OTN Cloud Developer Challenge. I ended up arriving about 3 hours late, but it was a free-format type of day, so being late wasn’t a major problem. I’ll write a separate post on that event. At the end of the day I headed back to the hotel, did some washing and went bed to try and catch up on some sleep. You can see video of the trip and my hotel here. The reason for me being in Paris was to speak at the Paris Province Oracle Meetup. Breaking my journey to the Netherlands with a quick trip to Paris was a really easy way to connect with more people. 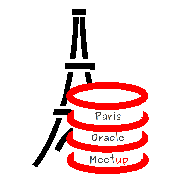 The Paris meetup is very similar to those found in other cities around the world, including Oracle Midlands in my home town. We all gathered at about 19:00 in the AVNET office in Paris and I did two talks with a short break between them. The first talk was about pluggable databases and the second one was about running Oracle databases in the cloud. The meetup finished at about 21:45 and Stew Aston took me out to get some food. We chatted for ages about life, the Universe and Oracle. 🙂 Once the food was over, he gave me a lift back to my hotel and by the time I got into bed it was about 01:00. So that’s paris done in less than 24 hours. Next stop the Netherlands! The taxi driver didn’t have any receipts, then the lady “managing” the queue at the baggage drop left a lot to be desired. Fortunately the lady on the baggage drop desk was awesome and lifted my mood. The departures screen did its normal thing of saying “Gate opens in 5 mins” for 20+ minutes. I was one of the first on the plane and the flight was fine. A bit of a shaky landing, but that was probably down to the bad weather. My original plan was to head into the city and have a look at the sites, but after I had got through airport security and made my way to the hotel, time was moving on.